I had a blast quilting this one! This Kissing Nine Patch is hanging at Wish Upon A Quilt. It's another wonderful pattern by Janice at Anything But Boring. I did line dancing in the nine patch blocks. Large flowers with leaves in alternating blocks and outer border and leaves in the yellow inner border. The quilting added lots of texture to the quilt. The thread is from Signature and is actually a soft pink. 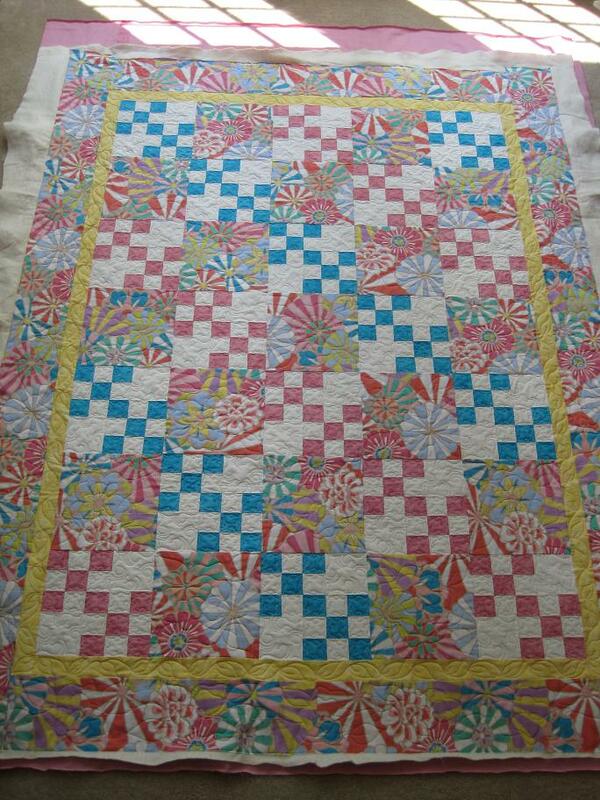 We used Quilters Dream Cotton Request as the batting. 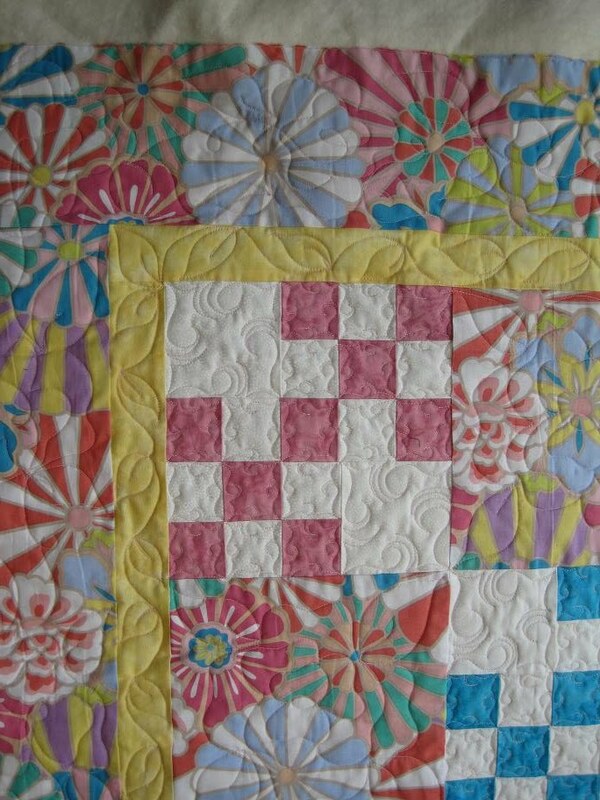 WOW - I love the large print fabric in this quilt. I did a double take on this one. How bright and cheery this is. 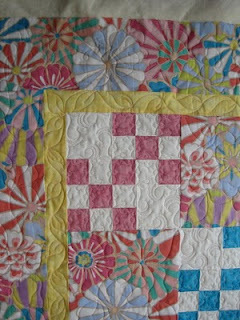 The wonderful quilting makes it even more fun! Nice job!